This tour combines the best of Nepal and Tibet, countries that share spectacular scenery and similar cultures. Visit fabulous monasteries, view magnificent mountain landscapes and be beguiled by friendly and likeable locals. Day 1: Arrive at Kathmandu airport. Upon arrival you will be met and transferred to your hotel for a 3 night stay. Day 2: Kathmandu. Morning, walking tour of old Kathmandu city following the old path across Vishnumati River to Swayambhunath. Afternoon visit the tow-tiered golden temple of Pashupatinath. Day 4: Kathmandu to Lhasa, by air. 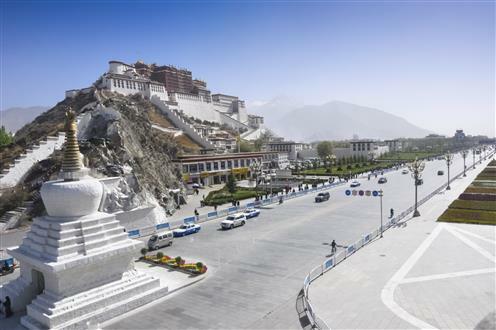 Transfer to the airport and fly to Lhasa. Upon arrival you will be met and transferred (2 hrs) to your hotel for a 3 night stay. Rest of the day is free for acclimatisation and exploring. Day 5 - 6: Lhasa (3,650m). 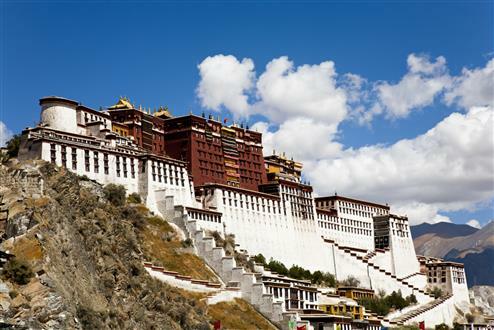 Two days will be spent discovering Lhasa - see the famous Potala Palace, Norbulinka-HH Dalai Lama\'s summer Palace, Sera & Drepung Monasteries, Jokhang Temple and the narrow lanes of Barkhor, the old market place of Lhasa. Day 7: Lhasa to Gyantse (3,950m), 261 Km/8 hrs. After breakfast, drive to bustling Gyantse. Drive along the Yarlung Tsangpo River and then over a high pass Khamb-La pass (4,794m) before descending to the Turquoise Lake, Yamdrok Tso. Then ascend along a winding road to cross the Karo-La pass (5,045 m) and then descend to the Gyantse valley. Overnight in Gyantse. Day 8: Gyantse to Shigatse (3,900m), 60 Km/2 hrs. After breakfast, visit Kumbum Chorten & the Pelkhor Monasteries. Depart for Shigatse,in the afternoon; visit the Tashi Lhumpo Monastery, Tibet\'s largest and most magnificent. Overnight in Shigatse. Day 9: Shigatse to Xegar (4,350m) 240 Km, 7 hrs. 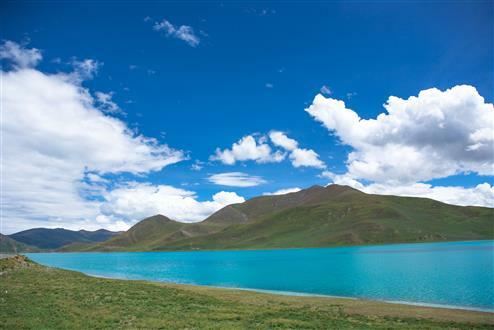 Drive along the flat Tibetan plateau via a few small settlements such as Lhatse & Lulu, which are typical Tibetan villages. Cross Lhakpa-La pass (5,220m). Overnight in Xegar. Day 10: Xegar to Zhangmu (2,500m) 244 Km/ 7 hrs. Picturesque drive from Xegar to Zhangmu viewing the world\'s tallest peaks. Cross Lalung-La pass (5,050m). As the road approaches Zhangmu it follows the deep Gorge of Bhotekoshi River. Overnight at Zhangmu. Day 11: Zhangmu to Kathmandu, 114 Km/7 hrs. Walk or drive from Zhangmu to the friendship bridge to meet your vehicle for the onward drive to Kathmandu city centre. Make your own way to your overnight hotel in Kathmandu. Day 12: Depart Kathmandu. Transfer to the airport and board your onward flight.